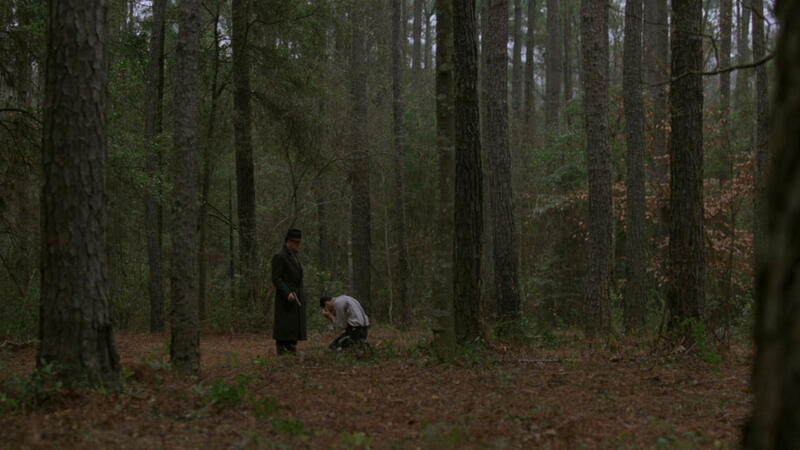 In our continuing series of 47 films to see before you are murdered in your dreams we present the Coen Brothers’ Miller’s Crossing. What’s the rumpus? The Coen Brothers gangster movie Miller’s Crossing stars Gabriel Byrne as a fixer, bad gambler and all round heel Tom Reagan. Albert Finney is one boss holding the town as Caspar, an insecure up and comer ‘Don’t come the high hat’, challenges his authority, specifically asking that he do something about his girlfriend’s dodgy bookie, John Turturro. It doesn’t help that Marcia Gay Harden is also hooked up with Tom. Yikes. Loosely based in what would no doubt now be called the Dashiell Hammett universe, the Coens create a brilliant period piece and a gangster epic as brown as a worn gun holster and occasionally as golden as those glasses of whiskey seen through firelight. All the performances are pitch perfect with Byrne in particular showing what a charismatic screen presence he is. And how woefully underused through the years. But it’s hard put to find anything that isn’t right in this movie. The wit and snap of the script with lines that fire and hit like bullets from a Tommy gun. Barry Sonnenfeld’s autumnal cinematography and Edward Hopper framing. The confident direction – this was only the Coens third outing. There’s a postmodern knowingness but at the same time the overall quality and obvious love of the genre elevates the movie way beyond pastiche. Good spotting! A fast, witty and unpretentious little film.